The 1st of June is a very important date in the history of Casidra, as it will always be remembered as the first day when the company opened its doors in Paarl. This was way back in 1989 when the company was still known as LANOK. On the 2nd of June, Head Office staff gathered to celebrate its 25th anniversary. In his opening remarks, the CEO, Michael Brinkhuis, acknowledged the long-serving employees (Johan, Kobus, Freek and many others) for coming such a long way with the company. “Most importantly, I would like to thank them for the efforts they have put in building this institution that is well established today”, said Brinkhuis. “I also want to thank all the new employees who recently joined Casidra. Together we can build this company further by adding more value and take it to even greater heights”, Brinkhuis ended. This year’s 25th anniversary will be celebrated in style with the aim of raising our Casidra brand. The PR/Communications Manager, Experience Matshediso, shared a presentation about the concept of how the Management Team plans to take this anniversary further with a series of activities. 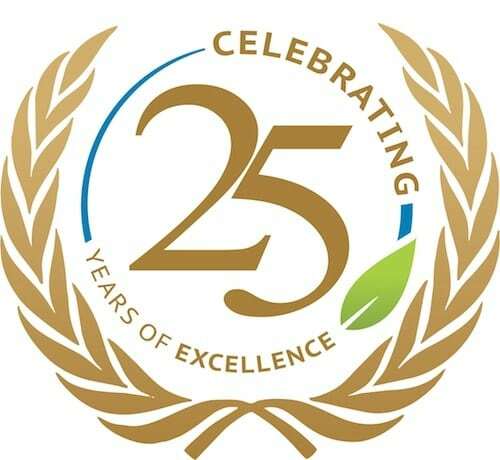 The presentation outlined the theme for this year’s anniversary as ‘Casidra celebrates 25 Years of Excellence’. The aim and objective of this celebration is to showcase what Casidra has achieved in 25 years. Most of the historical projects, which include the Henkries dates farm, Jackalskraal dairy farm, Genadendal Housing Project and the current projects implemented by Casidra will be showcased in the form of a Coffee Table Book, which will be launched around August 2014. Furthermore, Casidra will showcase its main achievement of its 25 clean audit reports its the various stakeholders. A logo to commemorate the 25 years of excellence was presented during the celebration. A long-serving staff member, Chief Finance Officer, Freek van Zyl, shared the company’s important history with staff. Van Zyl said that it had not been an easy road for the company to reach this far. He described the origin of the company, and where and how it was formed. “This organization was started with no funds. What made this organization was everyone’s prayers”. Van Zyl presented some old photos in albums, many of whom cannot be easily recognized by new staff. The Chief Operations Officer, Kobus Oosthuizen, assisted in identifying the people in the old photos. He also shared some memories and jokes. According to one of the most recent newly-appointed staff members, Project Manager, Martha Nchabeleng, it is always important to know the history of the company you work for. She said, “this 25th anniversary has taught us many lessons and will help us to understand our company’s culture better”. Khaya Dzula, Project Manager, agreed and added, “it also enables us to relate ourselves to the company”. The company will continue to celebrate its 25th anniversary through its various media platforms, such as the website and publications as well as other external media. Staff strongly committed themselves to delivering project management excellence to the Western Cape’s communities and believe that they will continue to promote and embrace Casidra’s brand.